program, maka kita tidak akan bosan dan bisa belajar dengan nyaman dan asyik. Pertama, Menyenangi Bhs Inggris, ya Betul sekali.. agan harus menyenangi Bhs Inggris dulu. kalau agan sudah gak senang dengan bhs Inggris. pasti dah Gw jaminn agan gak bakalan bisa bhs Inggris. Keempat, Praktek Gan!! ya agan harus praktekin!! gak usah malu.. cuek aja, segera pergi keluar negeri sono gan! Backpaker kalo perlu.. kalo gak berani ya pergi aja ke tempat2 yang banyak turisnya sono, di Bali ato Lombok kek..
Untuk harga perjudul ada di bawah gambar. Semua harga di atas belum termasuk Ongkos kirim. ►►EXTREME HOME FITNESS WORKOUT◄◄ DVD REVOLUSIONER merampingkan tubuh! COMPLETE SET! ►►kaskus silicon bracelet ♦gelang silikon/karet ◄◄unofficial kaskus◄ sangat terbatas! Terima kasih telah berkunjung ke lapak yg sederhana ini, semoga bermanfaat. 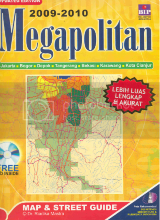 * 16X CD-ROM (for installation). 6. In the menu, find the Rosetta Stone, click Add or Remove Languages, and then Add a Language Level. 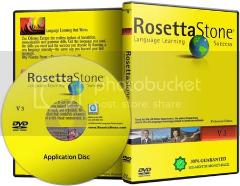 Rosetta will find your mounted drive and offer to install language. Tell Me More, the world's leading software for language learning, is valued by users and teachers alike for its speech recognition technology and personalized language courses. Tell Me More now counts more than five million satisfied users worldwide. Global leading organizations have placed their trust in Tell Me More, including the U.S. State Department, the U.S. Government, the FBI, the Canadian Federal Government, EDS, BMW, Carnival Cruise Lines, Mercedes, and more. Used everyday in more than 10,000 academic institutions, this latest version evaluates your progress as you learn, and uses your results to suggest the activities and exercises best suited to your needs, just as a teacher would. The package includes levels Beginner, Intermediate, and Advanced, and contains 3,600 exercises, organized in 35 different types of activities. All the skills critical to learning English are addressed including reading, writing, listening, speaking, vocabulary, grammar, and culture. With more than 750 hours of learning, this is the most extensive offer on the market to help you learn English. Children learn English while having fun! Three TELL ME MORE Kids titles, developed for children ages 4 - 12, are based entirely on speech recognition technology, making the program very interactive, progressive and amusing for children. Two friendly mascots will guide children through three different adventures and help them become acquainted with English while entertaining themselves.  Over 5 million satisfied users worldwide. 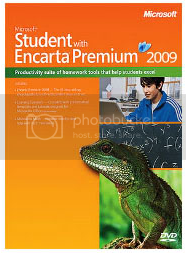  Used everyday in more than 10,000 Academic Institutions. Learn English with TELL ME MORE, THE international standard for language learning software:  Over 5 million satisfied users worldwide. 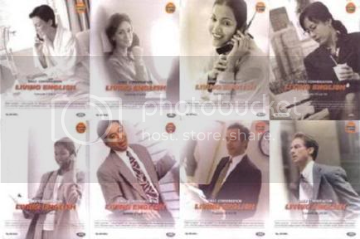  Global Leading Organizations have placed their trust in TELL ME MORE: the U.S. State Department, the U.S. Government, the FBI, the Canadian Federal Government, EDS, BMW, Carnival Cruise Lines, Mercedes, Telefónica.  Used everyday in more than 10,000 Academic Institutions. TELL ME MORE addresses all the skills critical to learn English : reading, writing, listening, speaking, vocabulary, grammar, and culture.  Global Leading Organizations have placed their trust in TELL ME MORE: the U.S. State Department, the U.S. Government, the FBI, the Canadian Federal Government, EDS, BMW, Carnival Cruise Lines, Mercedes, Telefónica. TELL ME MORE addresses all the skills critical to learn English : reading, writing, listening, speaking, vocabulary, grammar, and culture. Access for parents to the content of TELL ME MORE®, with and without solutions. It is the most complete Homeschool English software available, representing 4 years or more of English learning. 850 hours of English learning, the most extensive offer on the market for English software. 4,000 exercises and 37 types of activities broken down into six workshops (Lesson, Cultural, Grammar, Vocabulary, Oral and Written). Exclusive cultural activities. Essential English grammar rules are also explained. Possibility to create several accounts. Each family member can follow her/his own learning and progress. Link where homeschool parents can have access to the content of TELL ME MORE®, with and without solutions, enabling them to follow the progress of their homeschoolers or print their own workbooks. The Free-to-Roam Mode allows you to select the activities of your choice. The Guided Mode proposes Learning Paths according to your learning objectives and availability. The Dynamic Mode evaluates your progress as you work and adjusts your activities based on the results of previous exercises. S.E.T.S.® technology (Spoken Error Tracking System) that automatically pinpoints your pronunciation errors. 3D phonetic animations to improve pronunciation. Extract TELL ME MORE® audio recordings in the format of your choice: MP3 to use on your MP3 player or Audio CD (requires a CD burner). "We feel this is the best foreign language program we have came across." TeLL me More, the world's leading software for language learning, is valued by users and teachers alike for its speech-recognition technology and personalized language courses. TeLL me More has more than five-million satisfied users worldwide, and it is used in more than 10,000 academic institutions and global leading organizations such as the U.S. government, FBI, EDS, Rice University, Toyota, Miami-Dade Public Schools, Maricopa Community College, and others. Trying to learn English? Learn to Speak English 10 software is an all-inclusive language program that uses a wealth of instructional techniques to help you learn English. It includes lessons in vocabulary, grammar, and conversation (both verbal and written), and provides plenty of practice, drill and review in each of these areas. Unlike most language software programs, Learn to Speak English teaches the language from the ground up. It not only immerses the user in the language, but it provides extensive grammar lessons as well. The course is equivalent to a 2-year college course in English! Each Lesson contains a vocabulary list, story, dialogue, grammar topic, conversation lab, and exercises. Also included are fun games to break the monotony while strengthening and reinforcing learning. Speech recognition technology allows users to test their knowledge and perfect their accents with immediate feedback from the computer. Included with the Learn to Speak English software is a 115-page workbook for practicing away from the computer. Learn to Speak English is designed with these four things in mind. Unlike many other language software programs, Learn to Speak English does much more than help you memorize words. Using a step-by-step process, you learn both vocabulary and grammar rules. Then, using the speech recognition technology, you can test your proficiency in speaking and understanding English. Windows® 2000/XP/VISTA, 128 MB RAM, DVD-ROM drive and mouse, Internet access optional. Works under Windows VISTA. PLEASE NOTE: The computer part of this course is supplied on DVD-ROM. You must have a DVD-ROM player on your computer. A CD-ROM Player will NOT Work! Includes 1 DVD-ROM for the computer, 3 Audio CDs and a 115 page workbook for practicing away from the computer. Im A.J. 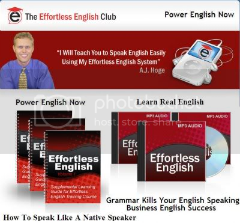 Hoge, the creator of the Effortless English Teaching System and the Director of The Effortless English Club- the most complete English speaking system for adult learners. My audio lessons are best-sellers in over 25 countries. But, after 6 months of hard work, she still could not speak. Sadly, this was true for all of the students in the class. I felt terrible. So I asked other teachers for help. But they had the same problem.. very few of their students improved either. Thats when I realized something was wrong something is wrong with normal English teaching methods. I wanted to help all of the happy, friendly, intelligent, wonderful students like Gladys and I decided I would find an answer. I would find a way to help my students speak English quickly, easily, and automatically. For many years, I studied books about English teaching. I constantly tried new methods in my classes. I read research studies. and every day I worked hard to IMPROVE these methods. After several more years of testing and improving, I finally found the answer! My students began to improve quickly. They learned to speak easily and automatically. And even better they loved my classes and they were very very happy! But then I had another problem I could only help a few students in my class. Yet, I knew there were thousands, perhaps millions of students who needed my help. I knew that everywhere in the world, there were English students who wanted to speak English well. Finally, I had an idea I would record my lessons and offer them on the internet to English students everywhere! It took a long time, and a lot of work, but finally I finished a full pack of lessons my Original Effortless English Lessons! and now I can help you. Im so grateful to be your teacher. I promise I will always do my best to help you speak excellent English. 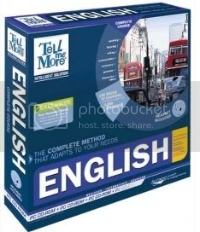 TELL ME MORE® v10 English 10 Levels will allow you to master English, providing you with the most complete and extensive content to learn English. TELL ME MORE® is a global leader in language learning software, with more than 7 million satisfied users worldwide - including prestigious academic institutions, government agencies, and Fortune 500 companies. The new TELL ME MORE® version 10 is a true milestone in language learning. - New User Interface: The overall look and feel of the product has been improved significantly. The clean lines, uncluttered, simple icons, tight color scheme and overall usability will make your language learning fun and easy. - New Tracking Tools: You will now be able to visualize your progress throughout the entire program. - New Activity: The Virtual Conversation activity engages you in an interactive conversation environment featuring a variety of characters. TELL ME MORE® continues to offer the most complete and comprehensive program on the market. It's the only solution that truly addresses the need to master English, as opposed to merely learning basic words and sentences. Developed by a team of language experts, TELL ME MORE® leverages the renowned Communicative Approach, a methodology used in schools and universities around the world. TELL ME MORE® implements this methodology using the exclusive PRIME approach. The clean lines, uncluttered screens, simple icons, tight color scheme and overall usability makes your language learning fun and easy. The Virtual Conversation activity engages you in an interactive conversation environment featuring a variety of characters. Visualize your progress throughout the entire program. - Contains 10 distinct levels of content, from Beginner to Advanced. - 20 hours of interactive video. - 20,000 exercises that keep your learning fresh and engaging. - An exclusive Progress Test to evaluate your progress. - A 24/7 Online Adviser. - The most advanced speech recognition on the market, allowing you to significantly improve your pronunciation. - S.E.T.S. (Spoken Error Tracking System) technology that pinpoints mispronounced words. - A role play activity that allows you to play a character in an original TV series. - On printable vocabulary lists and grammatical explanations. Receive a 90-Day Money Back Guarantee on all TELL ME MORE® products  exclusively on this official site. Words and phrases in Extreme English! are presented in the form of questions and answers. In the Basic English collections, your task is to give the English translation of a phrase which is presented in German, English, Czech, Russian, Polish or Finnish, depending on your chosen language version. In Advanced English, the questions are definitions of English words. In the Power Words! collection your task is to give an answer based on the definition or a synonym of a word. 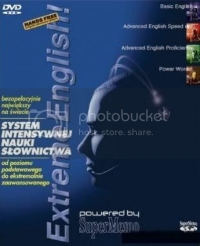 All English texts in Extreme English! are illustrated with recordings of English speakers (American pronunciation model). You can record your own pronunciation and compare it with the pronunciation of the speaker. The recordings in Basic English represent both British and American pronunciation models. Extreme English! is equipped with a voice control system which recognizes English voice commands. It can be used to activate program options and control the training process without using the keyboard. We recommend the use of headphones for maximum convenience. and involves whole course curriculum , by a telephone call or mail. 01 Nice to meet you! 03 What does she look like? 04 Where are you from? 05 Do you speak English? 08 What do you do? 09 Where do you work? 10 What time is it? 11 What day is it? 12 How is the weather? 13 What are you wearing? 19 What sports can you play? 20 What did you do yesterday? 21 What are you going to do? 24 How do you travel? 25 How do you get there? 07 Did you buy this for me? 12 What is the tallest mountain? 23 What are your job skills? Dalam video ini, Anda akan diajarkan bagaimana untuk berbahasa Inggris formil dalam berbisnis. Selain diajarkan langsung oleh native speaker dan para pakar, juga memaparkan banyak topik yang sering kita jumpai dalam berbisnis. Dengan cara penyajian yang menarik, mudah dipahami, dan juga disertai dengan banyak latihan akan membuat Anda menguasai Business English dalam waktu yang singkat. 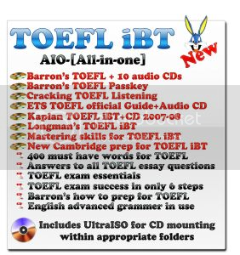 This package contains materials that are required for those who prepare for TOEFL-iBT exam. I have collected the materials for iBT alone. The unpacked size will be 3GB in size. The compressed one comes around 2.57GB in size. Trus 1 lagi,,kalo bisa bikin yg Glow In The Dark gan..dijamin pasti de..
dvd tutorial drum 12 keping + 1 cd ebook + packagingnya rapi + order kemaren (26 juli) siang hari ini (27 juli) udah nyampe dengan selamat = 140rb!!!! Original Posted By densur► Gan barangnya dah sampe dengan selamat,dan tepat waktu. Gan gelangnya bagus banged,cutting nya bersih kaga ada cacatnya. Original Posted By _HelloweeN_► MANTABBBBBS....!!!! Original Posted By lampukristal► lupa kasih tau, barang uda terima dari hari senin..
cm karna lagi sibuk, jd belum sempet dites..
tapi harusnya sih ga ada masalah, soalnya discnya mulus2..
Aku minta custom dilayani dengan baik, transfer hari minggu, hari senin barang sudah sampai. Custom karena minta di burn di Verbatim. Original Posted By zazuardy► lapor gan..
barang nyampe tanggal 4 maret 2010..
sebenernya sih cuma mau bilang..
SUPER TOP SELLER. Barang sampe ga nyampe 12 jam ke rumah gw. Gw transfer malem2, trus dalam 20 menit gw dikasih no resi. Dan pagi nya gw liat ada paket di meja gw. Gw ga nyangka gan, bisa secepet gitu. Di kasih extra magazine lagii. SUPER PUASS GW AMA SELLER YANG SATU INI. TOP TOP TOP. btw gan, dvdnya blum gw check 1 per 1, masih belum sempet. Tapi majalahnya dah gw baca dua2nya hehehe. Thank you gan. Original Posted By LittleD7► Akhirnya bro, DVD saya terima pagi ini. Tunggu apalagi ? ORDER SEKARANG JUGA!!! HARGA LU TERMURAH, DIKASI BONUS LAGI!! Original Posted By zita.jones► bro.. mo lapor!!! REKOMENNDDDEDD SELLLER!! DEH TOP BANGET!! 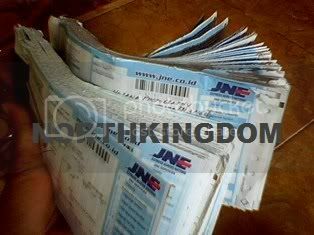 GAK TANGGUNG-TANGGUNG CUMA BELI 6 JUDUL DAPET MAJALAH! ane tunggu update koleksinya yang laen bro.. kalo bisa after effect skalian ane butuh.. tuh bro!! Original Posted By briena► terimakasih broo . Original Posted By Nucleolus► maaf baru sempat kasih testi.. ane yg pesan hari sabtu kemarin dari jakarta pusat.. barangnya udah ane terima dari bbrp hari lalu, tp baru bisa kasih testi sekarang.. maaf ya..
waduh.. paketnya rapi banget sampai ga tega pengen bukanya .. hehe..
respon smsnya cepet, ramah, paketnya rapi, dan yg paling penting pelayanannya memuaskan..
ane doain mudah2an lapaknya makin laris deh.. hehe.. Original Posted By rubiks► halo boss mau ngabarin nh p0x nya dah sampe . .
biar gambar yg ngmg aja dh ya . . Original Posted By zazaroza► BARANG udah SamPai dengan Selamat gan !!!! Barang dah nyampe dengan selamat.. SBY-JKT 2 hr pengiriman..
RECOMENDED SELLER agan satu ini. Original Posted By arussurga► Lapor gan! ane baru liat tadi ditaroh diatas meja makan. buat yang mau mesen juga nih...gak usah pikir panjang. semoga bermamfaat nih yang dibeli. ★DVD Tutorial Adobe PHOTOSHOP Lynda.com★ koleksi TERLENGKAP  MURAH, Bonus PLUS PLUS!